StockUnlimited makes it easy to let your imagination run wild thanks to its massive library of design assets and vectors. Even the best designers need a little help along the way. The next time you’re stuck on a design, check out the library of assets and vectors from StockUnlimited. You can get a three-year subscription to this vast design library for just $39.99 (approx. £32)! StockUnlimited’s design library is like nothing you've seen before. 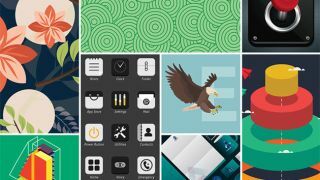 This massive collection of over 600,000 professionally designed vectors and templates are all ready and waiting to be used in any project you can imagine. Download as many assets as you'd like without worrying about royalties. Make use of them however you'd like, whether it’s for personal or commercial use. A three-year subscription to StockUnlimited usually costs $684, but you can get full access for just $39.99 (approx. £32)! That’s a savings of 94% on a must-have subscription for any designer, so grab this deal today!